To understand exactly what is happening around the world, we have carried out extensive interviews with international industry experts and we combined these insights with learnings drawn from dozens of our projects. WSP’s team is involved in testing a multitude of new technologies and working with several of the new business models already in operation. We are sharing our findings and insights in our downloadable ground-breaking whitepaper New Mobility Now. Launched at the ITS World Congress 2017 in Montreal, this publication brings new insights to mobility issues. Our experts have focused on five pillars to help prepare your organization now. We expect these five themes to play a key role in the future of transport and in place-making. Automated driving. Sometimes called ‘driverless cars’, automated technologies have been emerging for decades and will increasingly affect all types of vehicles. Connected vehicles, transport systems and networks. New forms of connectivity offer the potential for far greater real-time and off-line information for the benefit of those using the network and those who are responsible for its operation and maintenance. Shared use. This bundle lies at the heart of place-making evolution and relates specifically to vehicle ownership models, and the extent to which we might be prepared to move towards shared mobility and away from individual car ownership. It links to the concept of Mobility as a service or Maas. Electric vehicles. Political support for a move away from internal combustion engines and towards electric vehicles is gaining momentum around the world as the air quality impacts of petrol vehicles are better understood. Business models. This element is critical to cost – both actual and perceived – and the ability to create change that will stand the test of time. It requires fast, decisive action. For each strand, we have identified the current situation and discussed the main opportunities and challenges, before setting out practical next steps for consideration. Why Take Action on New Mobility Now? At WSP, we believe that now is the time to take the next practical steps towards achieving the full potential offered by ‘New Mobility’. Changes are happening in parallel on several distinct fronts. In our view, the strategic yet short-term decisions made with regards to the five themes will determine success or failure in the longer run. New Mobility Now is not another document about future visions of mobility that are decades away. This practical guide will help you ensure your decisions are the most productive and most likely to deliver benefits in your specific situation. 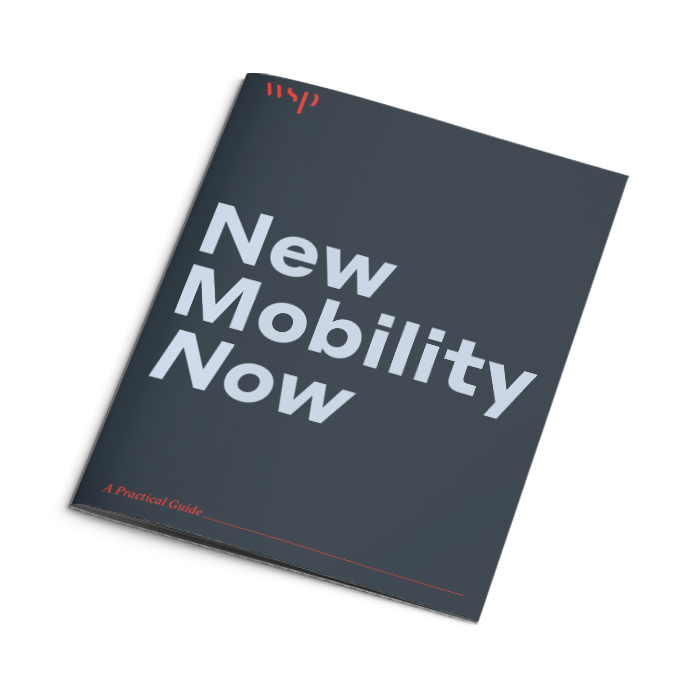 Contact us to know more about WSP Launches Whitepaper on New Mobility.